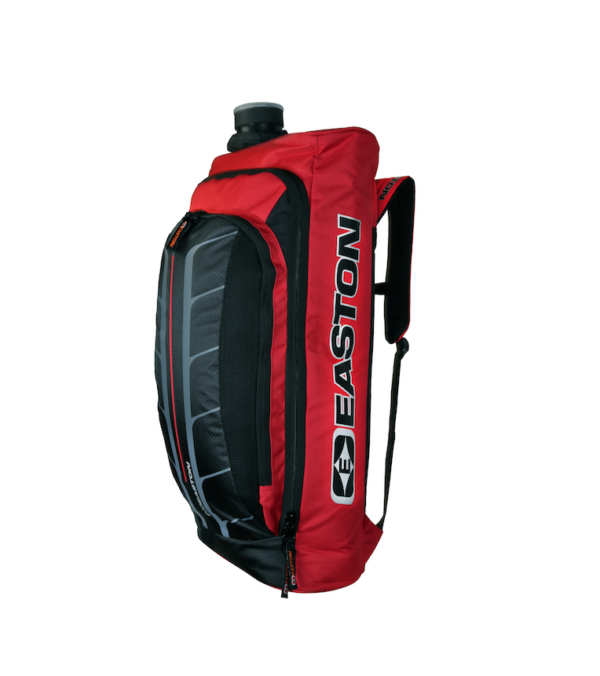 View cart “Universal Recurve Pack Riser Bag” has been added to your cart. • Advanced wheeled compact travel case for compound/recurve bows. • Triple field-replaceable roller bearing wheels. • Double seatbelt system to securely anchor bows. • Three internal accessory pockets. 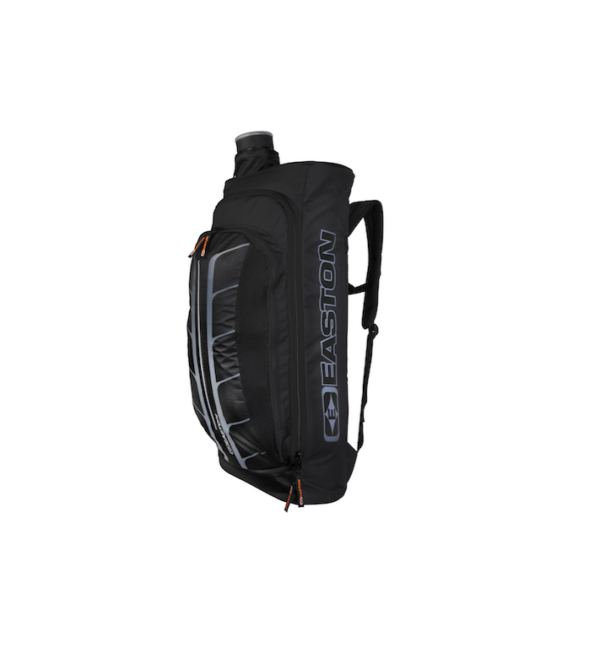 • Compatible with Easton Deluxe 33″ and 36″ Arrow Cases. 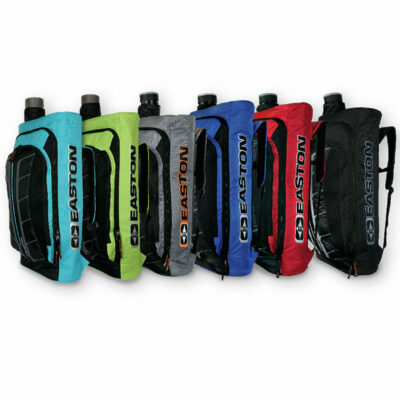 • Case-cube compatible interior fleece hook-and-loop lining with seatbelt strap bow retention system. 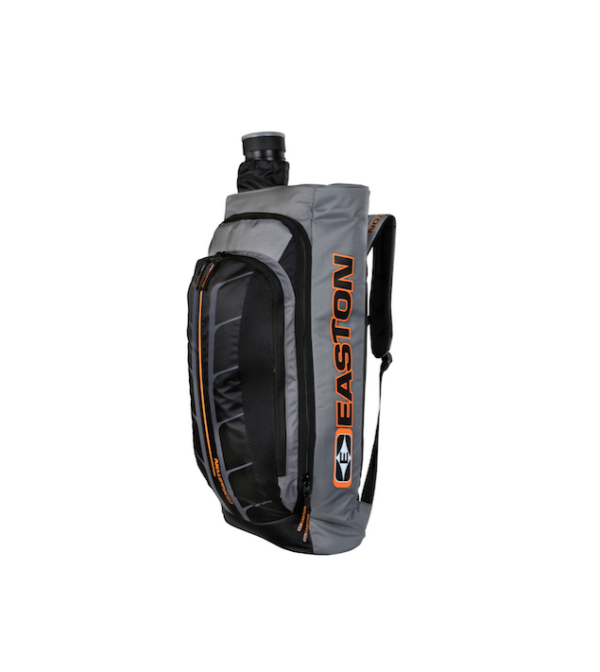 • Hybrid hard/soft shell 360º perimeter protection for maximum content protection. • Airline Travel Cover recommended (sold separately). 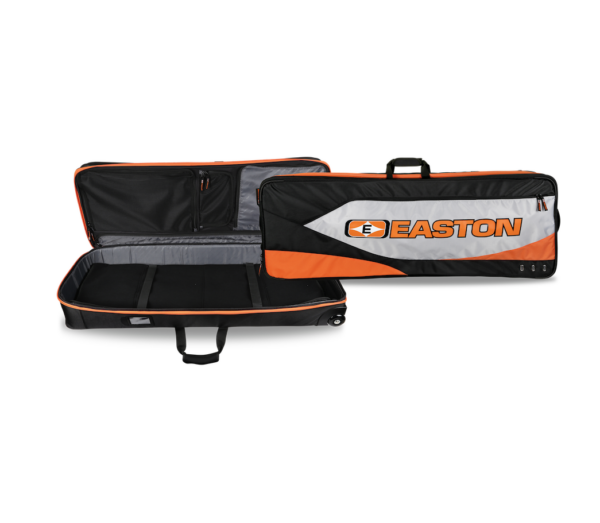 Easton’s travel rollers hold your bows and your gear, eliminating the need for extra bowcase. The Deluxe 3915 & 3615 Compound/Recurve Roller Bow Case protects as well as a hard case, but offers plenty of room for clothing, accessories, and essential gear needed by the traveling archer. 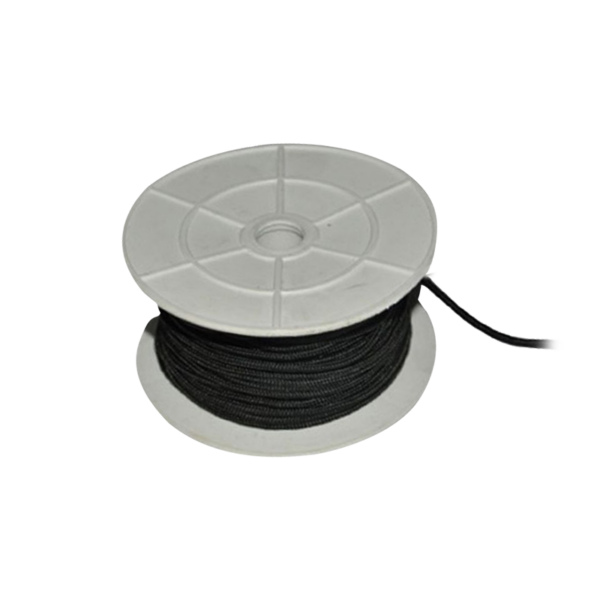 The bow case is made of a hybrid soft/hard shell that offers 360 degree maximum content protection. The 3915 & 3615 offer easy toting capabilities with triple field-replaceable roller bearing wheels. 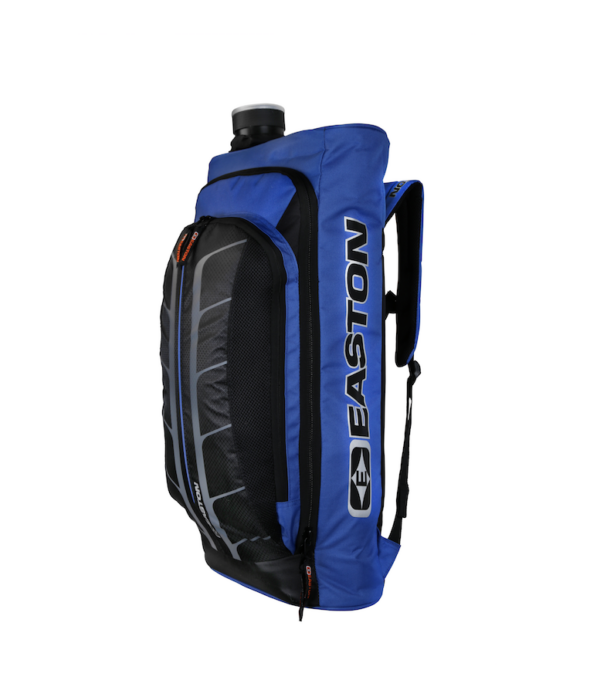 It also features a double seatbelt system to securely anchor bows down and three internal pockets keep essentials organized. The triple field-replaceable roller bearing wheels make this bow case worry free for traveling. 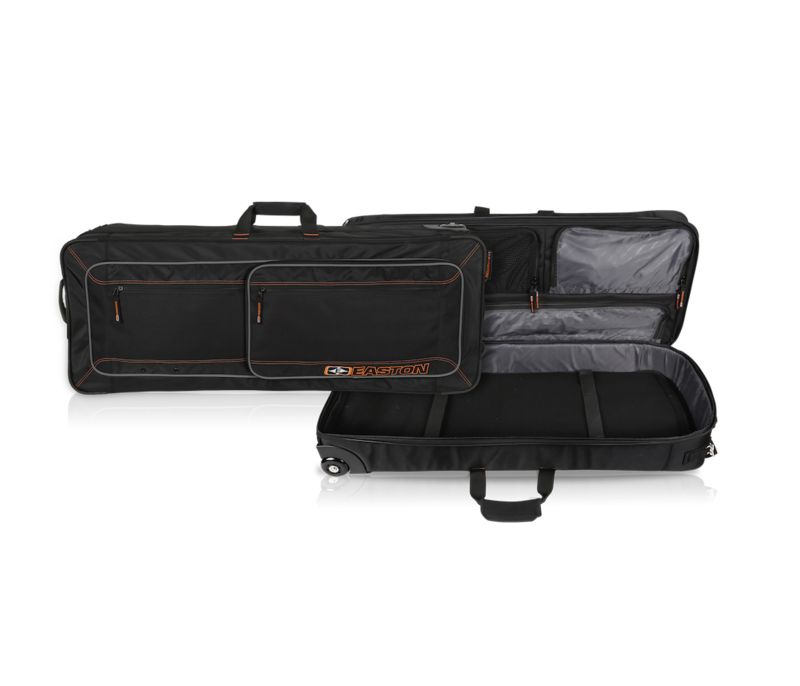 The Deluxe Compound/Recurve Roller Bow Case comes in two sizes: 36”L x 15 “W x 9” H, and 39”L x 15”W x 9”H to accommodate different sized bows. Available in black/orange.